Gratnells, the UK manufacturer which supplies its storage and asset organisation products into 20,000 of the country’s schools, has chosen a new medium to help launch its range of PowerTrays and PowerTrolleys. 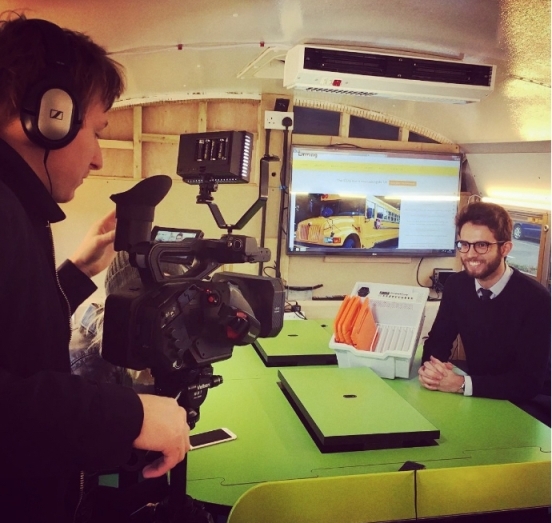 An American-style yellow School Bus will be travelling across and around the M25 area of Greater London throughout 2017 offering school business managers and teachers the opportunity to ‘test-drive’ a number of digital products and systems. Gratnells PowerTrays and PowerTrolleys have been developed to keep portable devices such as tablets organised, secure and always charged ready for use. 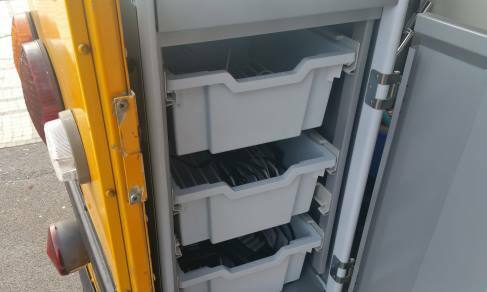 With the capacity to store, charge and sync up to 30 USB devices at ultra-fast speed, the Gratnells PowerTray/PowerTrolley combination is available to see in the Yellow Bus as it travels around schools. PowerTrays are available in two sizes and continuously analyse the appetite for power from devices such as phones, tablets and loggers, responding with an optimised rate of charge and syncing between them to deliver a complete storage, charging and syncing provision. The PowerTrolley has been designed to accommodate PowerTrays, offering secure storage and charging, together with useful built-in features such as lockable castors and optional handles. Their mobility makes for easy deployment to storerooms or cupboards. 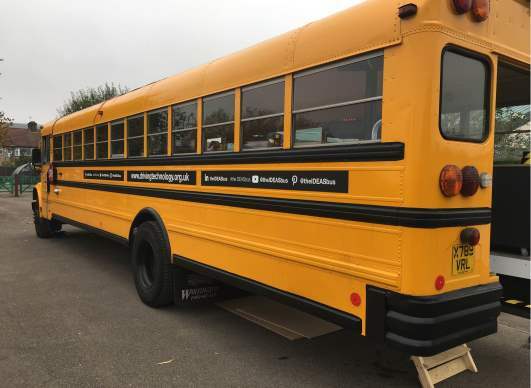 Casey Farquharson, Managing Director at Driving Technology, is the inspiration behind the Ideas Bus and says the Gratnells range is exactly the kind of product the Bus provides a perfect platform for.